III opens with a few slaps of the bass and a wash of distortion. The rollicking chords are hardly discernible beneath a blanket of fuzz. Distorted guitars crash like waves upon the beach, receding and resurging their white-capped foam all around your ears. 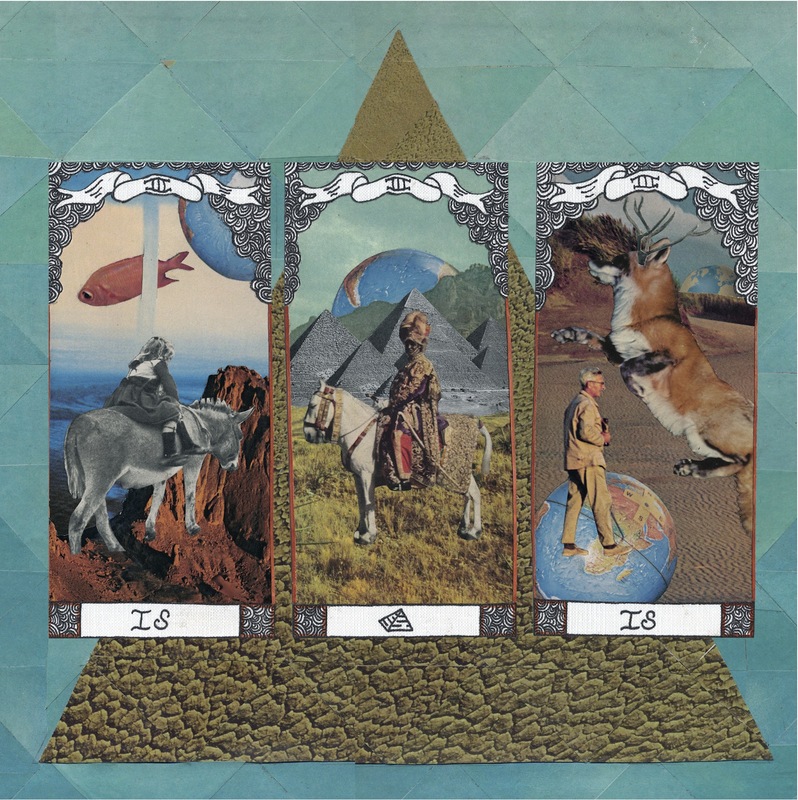 The sonic backdrop provided by Minneapolis trio Is/Is proves all encompassing and inescapable. Like a painter or cinematographer creating visual themes with a specific color palette, Is/Is creates consistent and coherent auditory artwork with a wall of fuzz. The music coupled with lead-singer Sarah Rose’s preference for short, repetitive phrasing can be hypnotic, like some kind of indie rock Hare Krishna chant. It’s not until a brief tangent in the form of the album’s fourth track “Untitled One” that listeners are permitted to snap back into reality. A mere 55 seconds pass before we plunge headlong back into the murky waters. After many spins of III, there are times when I find myself yearning for a break, for the sound to diversify. More often, though, I’m struck with the beauty in Is/Is’s decision to dive so boldly in one direction. That isn’t to say that there is no range of emotion on III, quite the opposite. “Moon Dropping” offers lighter tones, while “Bomb Me” and “Save your Savior” offer resounding, bass heavy, darker moments. The breadth of feeling is there, but the listener must first peel back the layers. Distinguish the smoke from the mirrors. Listening to III can be cathartic at times. I found myself finishing the album with a clean mind, refreshed and rejuvenated. The earlier Hare Krishna reference had less to do with a musical comparison than the album’s meditative nature. Rather than focus on any specific aspect of III, Is/Is often melds into a solitary force allowing the listener’s mind to wander inward. Whether Is/Is’s tunnel-vision approach to songwriting can be sustained over the long haul remains to be seen. For now, I’m content with the 11 tracks at hand. A casual listener may toss this release aside as little more than distortion-heavy garage rock. However, taken in its entirety III proves a powerful, rewarding collection of songs. III is available on CD and vinyl from Guilt Ridden Pop. Listen to the album’s first single, “Lie Awake” below.